Oil residues. In addition, they are often stored outdoors for long periods. This harsh weathering leaves its mark. Refreshes even slightly weathered paintwork of aircraft, removes typical residues from flying in the same operation and gives a new gloss to all painted surfaces. 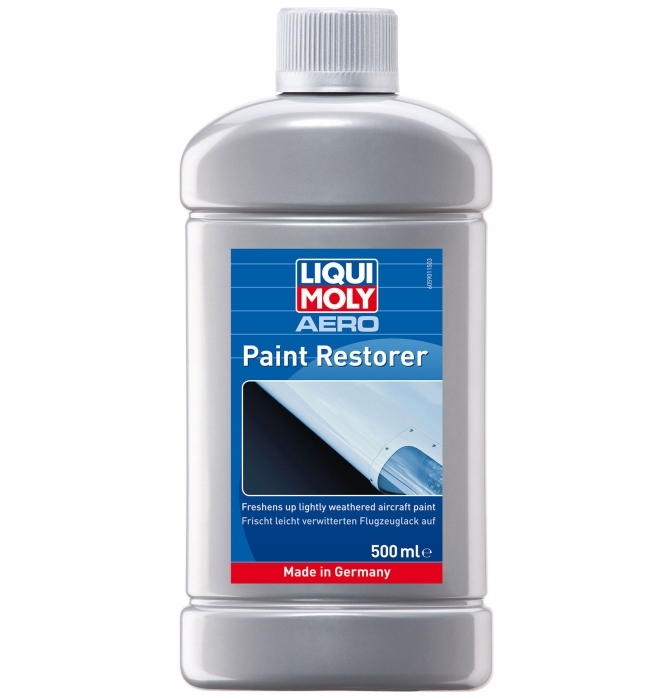 LIQUI MOLY AERO Paint Restorer has been specially tailored to the needs of general aviation. * Based on residence in South Africa. Tax rates for other countries will be calculated at the checkout. Price exclusive of tax: ZAR289.46.